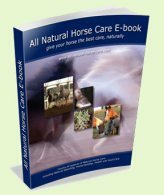 Here in the horse care glossary you will find a list of common terms, and their meanings, used in natural horse care. Anterior or Dorsal - Located towards the front of the body (eg the front of the hoof). Anterior/Posterior or A/P - Front to back. Distal - The bottom of an anatomical structure (eg the distal edge of the coffin bone would be the bottom: furthest away from the joint with the short pastern bone). Distal Phalanx - Also known as the third phalanx, P-3, or the coffin bone in the equine foot. Lateral - Situated at, relating to, or on the side (eg the outside of the limb). Medial - Situated in, relating to, or extending towards the middle (eg the inside of the limb). Medial/Lateral or M/L - From the inside to the outside or side-to-side. Posterior or Caudal - Located towards the back of the body (eg the back portion of the limb). Proximal - The top of an anatomical structure (eg the proximal edge of the coffin bone would be at the top, where it joins with the short pastern bone). Ventral - The lower surface (eg the bottom of the hoof). Dead Sole - Flaky, chalky sole material that exfoliates easily on scraping. Live Tissue - Sole tissue that is seen as waxy in appearance surface. Quarters - In hoof care terminology, this refers to the sides of the hoof wall. When looking at the sole of a hoof, where the middle of the toe is at 12:00, the quarters would be roughly between the 2:00 and 4:00 and the 8:00 and 10:00 positions. Toe Callus - Area behind the toe wall which consists of calloused sole and protects and supports the tip of the coffin bone.